He was hailed a hero when he bought out a South Carolina Girl Scout cookie stand so two young troop members didn't have to stay out in the cold selling thin mints and do-si-dos. But, now federal drug agents are portraying Detric Lee McGowan as a cookie monster. 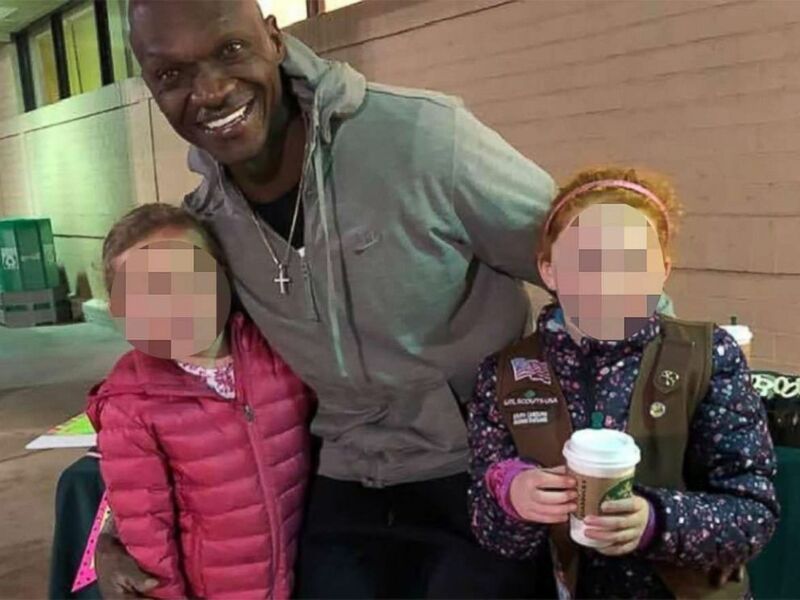 Just days after the seemingly feel-good story went viral on social media — along with a photo posted by one of the grateful Girl Scouts' mothers of him posing with two girls and a silver crucifix dangling from his neck — McGowan is now in custody, named in a federal drug-trafficking indictment. McGowan was arrested on Tuesday after a federal grand jury in Greenville, South Carolina, indicted him and 10 others on Feb. 19 for their alleged roles in a conspiracy to import and distribute heroin, cocaine and the powerful pharmaceutical drug fentanyl. Detric Lee McGowan was hailed as a good guy by a group of South Carolina Girl Scouts when he bought out their cookie stand so they didn't have to stand out in the cold. While authorities said the dough McGowan used to buy the Girl Scout cookies were likely drug money, they said publicity over his good Samaritan move did not prompt his arrest. "One thing that I can say, and it's been a pretty big question, is the Girl Scout cookie story had nothing to do with this guy being picked up by us," Special Agent Chuvalo Truesdell, a spokesman for the U.S. Drug Enforcement Administration, told ABC News on Wednesday. "We had already been investigating him. It was just a mere coincidence that that happened. Unfortunately, not good timing for him." On Friday, two members of Girl Scouts Troop 1574 were selling cookies from a table they set up outside a Bi-Lo grocery store in Mauldin, South Carolina, when McGowan stopped by and purchased seven boxes, leaving the girls $40 for the $28 worth of cookies, Kayla Dillard, the troop's cookie manager, told ABC News. Detric Lee McGowan was arrested on Feb. 26, 2019, in South Carolina on drug charge. After noticing one of the girls was shivering in the cold, McGowan pulled his car up to the stand and gave the Girl Scouts $540 for all 129 boxes they had on hand, said Shannen Ludwig, the mother of one of the scouts. Dillard said that "after the initial shock wore off, our hearts were full, and we were very thankful." But, the Girl Scouts and their parents got an even bigger shock when 46-year-old McGowan was arrested just days later. "Nobody was hurt. Nobody was threatened. 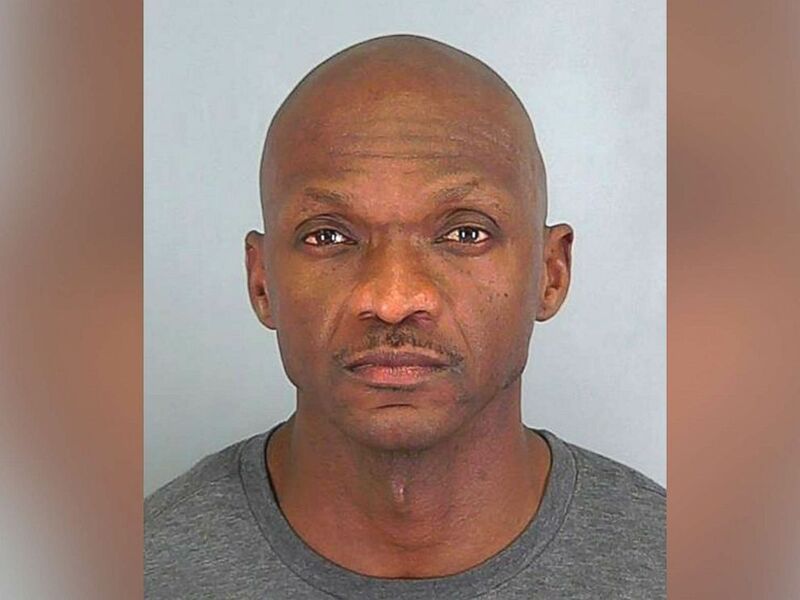 We had no reason to believe that this man was anything other than one of our valuable customers that is helping Girl Scouts power awesome experiences through the Girl Scout Cookie Program," Karen Kelly, spokeswoman for the Girl Scouts of South Carolina, said in a statement following McGowan's arrest. "This is now in the hands of law enforcement and of course we will cooperate with authorities," Kelly said. McGowan, who according to the indictment goes by the nickname "Fat," allegedly conspired with others to import drugs from Mexico and distribute them throughout South Carolina, North Carolina and elsewhere. According to one of the incidents included in the 22-count indictment unsealed on Tuesday, McGowan and three others conspired in October 2018 to smuggle more than $1 million in cash from South Carolina to Mexico in exchange for drugs. "As the opioid epidemic tightens its grip on families across America, we will continue to join with our federal, state, and local law enforcement partners to aggressively prosecute individuals who are peddling these dangerous and deadly drugs into our communities," U.S. Attorney Sherri A. Lyndon said in a statement. If convicted, McGowan faces a maximum sentence of life in prison, authorities said. "Mr. McGowan and I talked and made a decision together that it was not in his best interest to issue a comment about the criminal charges," McGowan's attorney, Janis Richardson Hall, told ABC News on Wednesday. "But I will tell you that, in my opinion, he's a good-hearted person that did a very nice deed. There was no other motive and he's very respectful and professional when he's with me."